You may browse this site for information. You acknowledge, however, that this site contains information, data, photographs, graphics and other materials that are protected by laws governing copyrights, trademarks, trade secrets, and other proprietary rights. Under no circumstances may you transfer (including, without limitation, by sale, loan, rent or lease), use, copy, reproduce, download, republish, upload, post, transmit, adapt, modify or distribute the site contents, in whole or in part, without the express prior written consent of CTC Plastics. The use of any of the site contents on any other web site or networked computer environment is prohibited. This site is intended and directed only to residents of the United States and all advertising and claims in this site are valid only in the United States. You can browse the contents of CTC Plastics' web site without telling us who you are and without revealing any personal information. The only information we collect and store during normal web site usage is the name of your Internet service provider, the web site that referred you to us, the pages you request, and the date and time of those requests. We use this information to generate statistics and measure site activity to improve the usefulness of customer visits. During normal web site usage, we do not collect or store personally identifiable information such as name, mailing address, e-mail address, phone number, company name, etc. Visitors to the CTC Plastics web site may decide to send us personally identifying information, for example, in a message containing comments about the CTC Plastics web site. CTC Plastics will only use this information to identify the user. We will not use it in any way other than to resolve the matter identified in the e-mail. Users should be aware that when you are on this web site you could be directed to other sites that are beyond our control. There may be links to other sites that take you outside our service. These other sites may send their own cookies to users, or otherwise collect data or solicit personal information. Always be aware of where you end up. We cannot guarantee the security of any information you disclose online, and you do so at your own risk. You expressly agree that the use of this site is at your own risk. 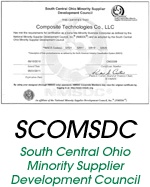 Neither CTC Plastics nor its officers, directors, employees, agents, affiliates nor any person involved in creating, producing or distributing the site warrant that the site will be uninterrupted or error free, nor do they make any warranty as to the results that may be obtained from the use of the site or to the accuracy or currency of the information. The site contents are provided "as is" and without warranties of any kind either express or implied to the fullest extent permissible pursuant to applicable law. Under no circumstances shall CTC Plastics, its officers, directors, employees, agents, affiliates nor any person involved in creating, producing or distributing the site, be liable for any special or consequential damages, whether based on breach of contract, breach of warranty, tort (including negligence), product liability or otherwise, that result from the use of, or the inability to use, any part of the site contents.